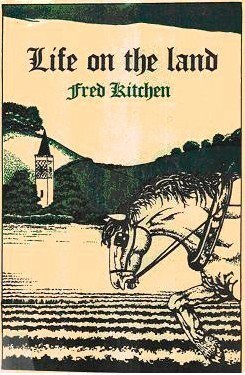 Fred Kitchen was born at Edwinstowe in Nottinghamshire in 1890. 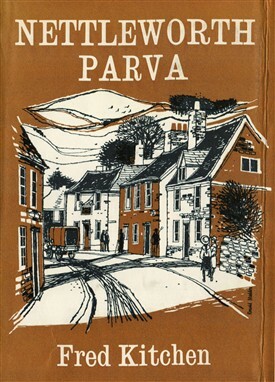 He became a farm labourer and collier, mainly in Yorkshire and Derbyshire, writing in his spare time over many years before finally trying for publication in his 50s. 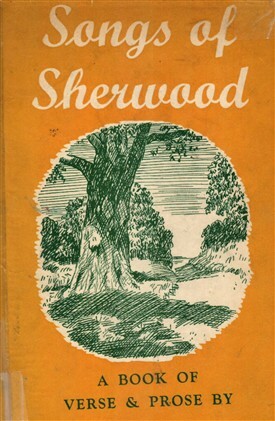 At the very beginning of his autobiography, Brother to the Ox (1940), Fred states "I was born at Edwinstowe in Sherwood Forest, but my parents leaving that place soon after my entry into it, and going to live in Yorkshire, I cannot say much about my birthplace". After working on farms in South Yorkshire throughout his teens and 20s, Fred finally returned to the county of his birth - this time to Worksop - in February 1927. He was once again working as a cowman when, in 1930, his employer took on a new, larger farm - Kilton Forest Farm, also near Worksop. The following spring Fred joined the local public library, followed in January 1933 by his enrolment in the Workers Educational Association (WEA) in Worksop. "Life became fuller and richer than ever", he commented. "I have studied literature mostly, being my favourite subject, but have also attended classes on Appreciation of Music, Psychology, and Economics" - although, as he later said, "only literature and music seemed to penetrate my weather-beaten skin". "The tutor of the literature class liked my written work, and he encouraged me to send some of my efforts to magazine editors". There were many rejections, but Fred persevered. It is a period of Fred's life which was covered in 2013 BBC Radio 4 dramatisation called 'Diary of a Joskin' which chronicled his struggles to get into print. 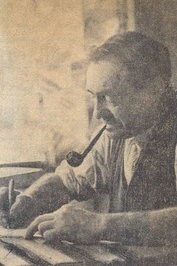 He went on to write a number of well-received books about his farming experiences, perhaps the most popular being Brother to the Ox, which his publisher, J.M. Dent, finally accepted despite it being entirely written in longhand: Fred could neither afford a typewriter nor pay to have his manuscript typed. Fred is recorded as saying "I left school at 13, and had to work at farming and gardening all my life, but I have no regrets. When I was starting out and working as a cowhand, I earned about half-a-crown a week. The other lads used their money to buy ale, but I bought books, which were much more satisfying because you could drink in the words over and over again." He never made any money from writing - "just a few coppers a week at most" - but did it simply because he loved writing. "He has had great joys and some sorrows; and above all he has a live English style, shrewd and strong, and his book is a delight to read". The Daily Telegraph. "His sketches of farm and cottage and village life are drawn so simply and naturally, so vividly and humorously that it would be difficult to find one dull page". The Manchester Guardian. What the Countryman wants to Know: Answers to Everyday Questions in Natural History. 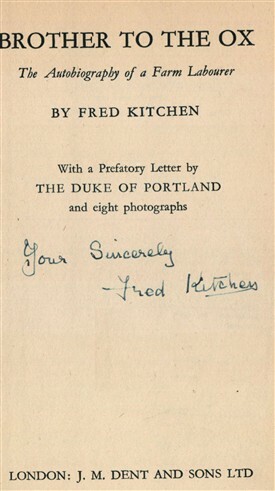 "Mr Kitchen tells how he explored the possibilities of making a living out of market-gardening, poultry-keeping, and pig-rearing. He is a good recorder of facts, and from a full experience tells the reader for pleasure and the market-gardener for profit exactly what they want to know". Robery Lynd writing in The Observer. "These sketches of birds and animals have the direct and natural vigour of things observed by men who are unconscious artists in observation of nature, and the illustrations by Gerald Gardiner are perfect". John O' London's Weekly. "All the components of the country community are here: shepherd and ploughman, hedger, ditcher, and poacher, the 'boss' and the parson, the pub-keeper and the casual labourer. A fine record of life seen from the heart outwards" Howard Spring writing in Country Life. "No imaginative flight of fancy, no imagery other tha the most direct, mar the natural economy of his art. The result is an instantaneous realization of its authenticity. Here are the English scene and the English farm worker". Times Literary Supplement.